This level have normal difficulty and you need to use few steps to complete this level. First you should try to play from bottom and break cake so ingredients wont stuck on it. After try to play near to ingredients or use wrapped candy to take them to the bottom fast without unbalancing the Odus owl. 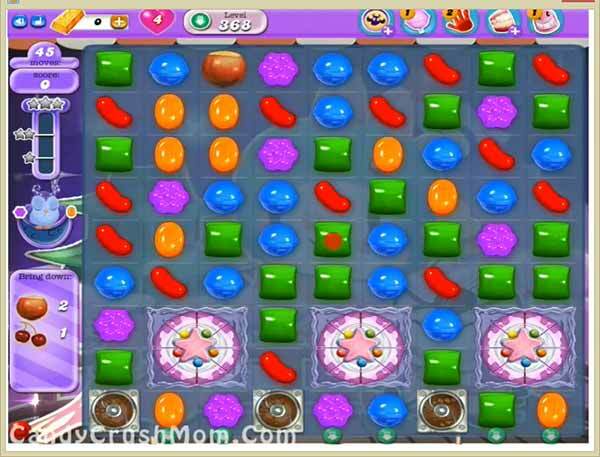 After moonstruck try to use special combos like colorbomb with striped candy to reach the requirement. We completed this level with 167240 score using same strategy that we posted above and got three star score at the end of the level.